Test Your Buyer’s IQ: Are You Wasting Money On Costly Crap? I thought it would be fun to embark on an online comparison shopping exercise here once in a while to challenge ourselves with the problem of finding an appropriate, acceptable alternative to expensive inventions being touted as stuff that would make our lives so much better. Here’s where this idea came about: earlier on, I wrote a post about “dumb business ideas that clicked” and that made their inventors rich. After writing from the point of view of the inventor, I wanted to look at things from the point of view of the consumer. I thought, sure, there can be silly ideas that make money, but I wondered if they deserved such success. Do these ideas and inventions really deserve our money? Or can we as consumers see through the hype well enough to know that cheaper alternatives do exist and are preferred over those newfangled, hot offerings that are advertised by our retailers? Since I’m such a catalog collector (or magnet, as per advertisers out there) — I must receive a dozen catalogs a month — I am swimming in resources for this new experiment. The idea is to find pricey products in catalogs or stores that are masquerading as “innovative” items you can’t possibly live without. These are things that are seeking good, loving homes that will enjoy their use and get their money’s worth. Instead, I’ll uncover the truth about these products: that perhaps they aren’t as innovative as you may think because alternatives do exist. My point here is: whatever it is, cheaper and equally effective options aren’t that hard to find. For each of the following items, can you spot the cheaper alternative? And can you suggest additional, more frugal options? Do some of these products seem redundant enough to be eligible for the junk bin? You be the judge! One of these items retails for $29.95 and the other is for $19.97. The fancy item costs $39.95 while the double duty item can go as low as $14.99 for twice the function! B. Child’s Chair Doing Double Duty? Guess which one just costs $16.32 while the modern day version retails at $69.95. The portable one is yours for $13.77 while the heavy duty one that takes up much more space is priced at $59.95. If you picked all A’s as pricey inessentials, then your Buyer’s IQ is up there (as far as I’m concerned)! It’s pretty ironic that many needless items can indeed sell, because there’s a market for such things. Surprisingly, there are people who do buy these products whether or not they have the money, which of course accounts for the success and existence of such redundant products everywhere. Would you consider any of these inventions really original? Do they add any real value to your life? In some of the cases, I think that they can actually be more trouble than they are worth. For instance, electronic items have more moving parts and tend to break. A big plastic apparatus that can engulf your entire head may not be that easy to store away. As a consumer, I’d like to have access to things that are truly useful: gadgets, inventions, items, merchandise that really make a difference, and that are hopefully affordable enough for most people, instead of recycled ideas in the guise of slicker, but pricier products. Where’s the innovation here? If I found it, I’d be happy to reward true innovation with my money and business. But then again, innovation is in the eye of the beholder, and oftentimes happens incrementally. If something catches your eye that has a high cost plus low usage factor that you’d like to share, then let’s hear about it. I’d like to thank GolbGuru @ Money, Matters and More Musings for inspiring this idea with one of my favorite frugal posts of all time: How To Flush $299 Down The Toilet, where he reviews a fish tank toilet. Strange Online Business Ideas That Made Millions…Or Not! You’re welcome Golb! 🙂 That toilet post is in my Hall of Post Fame. 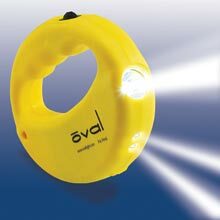 In Pair #1, the more expensive light uses 3 AA batteries and since LEDs use less power, you can bet it lasts some time (though we don’t know). Also it focuses light in a beam straight ahead like a flashlight. 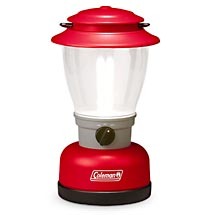 the second lantern uses 8 D batteries and doesn’t focus light forward like the flashlight. It lasts from 18-28 hours depending on use. 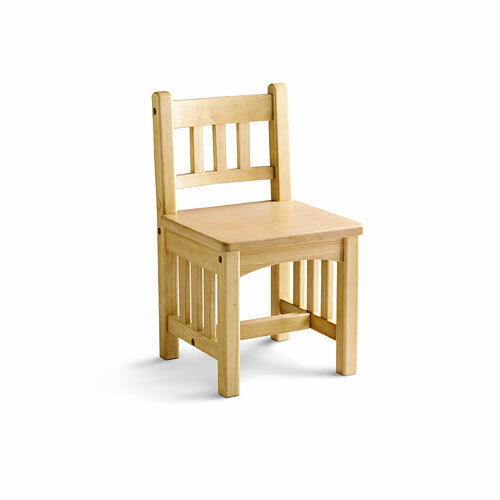 In Pair #2, the child’s chair doesn’t have the support handle functionality. It does have the chair back, but you’d have to bend down to use it as a handle, which defeats the purpose. In Pair #4, you can see the person relaxing while her hair is drying. It’s possible that she could be reading a book with her free hands – She could be productive for 10 minutes a day vs. the hand-held hair dryer. What would 10 minutes a day be worth to you? I think a case can be made that the best tool for a lot of jobs is the more expensive version. And in some ways the more expensive item is cheaper in the long run. I knew someone would come right out and challenge the test! Well and good! I like the debate this brings up. What this tells you is that cheaper may not always be better, it may depend on what you need. For Pair #1, if I don’t use flashlights too often, I may still want to get the cheaper lantern anyway. It may take me longer to make up the price difference between the two products. For Pair #2, I agree with you about the support issue and the chair is representative of the idea I wanted to impart. There could be other items you can use (or cheaper stools) than the fancy support stool/stand being sold. If you’re young and sprightly, a simple stool or low chair may be a reasonable idea. If you’re old and rickety, it’s pretty much out of the question. For Pair #3 I’d still prefer the book version though. I realize there are features in the electronic version but I think the book will last longer, just a feeling. For Pair #4 Hmmmm….I do use a non hands free hair dryer and am able to read while using it nevertheless. Would I enjoy seeing my visage on the mirror? Not sure though. What really does bug me is how big and clunky the bonnet hair dryer appears — to me, space is a valuable commodity, as much as time is. And anything occupying extra space in my environs, is suspect. Great points though. I agree that ultimately it’s not just price but quality and value of what it adds to your life. 1) The expensive one is ugly. And the Coleman uses 8 D batteries!?! 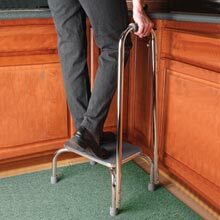 2) I’m tall enough that I don’t need a stool. However, my wife has access to 3 stools and any dining room chair. She always goes for the dining room chair. 3) Get the regular Bible. You’ll be glad you did. 4) I can assure you 100% that you’ll want to sell that stupid hair dryer after 2 weeks of it sitting on your dining room table. It will be sitting there because you won’t have anywhere else to put it conveniently. You could also just go bald like Britney (or me). I heard somewhere that shopaholics often will buy items and never use them, even leaving the price tags in place. It’s the experience of shopping, apparently, that’s important, not the utility of the thing bought. I don’t understand this, but, I guess it happens. Probably filling some void in their lives. Thanks for allowing me to be an amateur pshychiatrist. Well, people will pay what they are going to pay. This is a good post though. People just need to stop and think before they make purchases. Fads are interesting also. Today’s treasure can be tomorrow’s garbage. I wouldn’t buy any of them. Kitchen chairs work nicely as stools and store well. Pair #1 is an unfair comparison. one is a lantern meant for camping and the like. The flashlight is meant to help you look under the bed. But I have a really nice flashlight. You can get the bible free with any computer from various online sources. Y’know if you want the bible. And the air does a very nice job of trying my hair eventually. So … can I say I saved a few hundred dollars? @Asrai, Yep I see what you mean about Part 1 — perhaps I should have just picked up some kind of regular old flashlight as an example. 🙂 It’s easy to find — check out Target for their Coast LED flashlights, which go for $20. Thanks for pointing that out! Also, air drying your hair seems like a great idea, but if you’ve got long locks, a portable hair dryer should be fine? Or maybe a towel on your back to keep the dampness away. I believe I’ve seen a lot of rollers in the hair as part and parcel of how things used to be, and you’re right, that would involve some kind of drying procedure with some type of head gear as above. I didn’t realize that the contraption above was some kind of retro machine (I was too young to remember if my mom had one). I do notice a lot of catalogs wanting to revisit old-fashioned products and reviving them in a more modern form. While I enjoy looking at these interesting products and sometimes even find myself fantasizing how I could make use of them, I do resist the urge to buy. Some of the inventions some high end manufacturers come up with are just not really that useful (although their packaging is nice and shiny) — then again, I was one of those who turned out to be totally wrong about Twitter (I basically thought it was another FB wannabe). I think it’s tricky when you talk about value. For some consumers, they like to buy stuff that make them feel good about themselves, usually in the form of social status. Even with web applications, I feel this is the case. Does Facebook really deserve to have a 50 billion dollar valuation? It’s just a tool that in the end allows people to show off their lives to others. But it makes people social, and that’s what they care about.